RBL Bank IPO Review: Once-in-a-decade, should you subscribe? RBL Bank IPO Review: Good to bank with? Investors are looking forward to RBL Bank (earlier known as Ratnakar Bank) IPO which opens for subscription on 19 August and closes on 23 August. As the fourth public offer this year in the INR1,000 crore club after Equitas Holdings, Mahanagar Gas and L&T Infotech, this will be a keenly watched IPO. The IPO will mobilize INR1,213 crore at the upper end of the price band INR224 – 225 per share. In line with the market trend, RBL Bank IPO will also have an offer for sale (OFS) by existing shareholders, although it will be limited to INR380.5 crore. Retail investors are not offered any discount but 35% shares in the offer have been reserved for the category. The IPO will be managed by Kotak Mahindra Capital, Axis Capital, Citigroup, Morgan Stanley, HDFC Bank, ICICI Securities, IDFC Securities, IIFL Holdings and SBI Capital Markets and shares are proposed to be listed on BSE and NSE. Banks have traditionally performed well on stock markets and their IPOs have been well-received in the past but that gives us more reasons to look for signs of poor governance and inflated valuations as promoters and bankers tend to leave nothing on the table during periods of buoyant secondary markets. Taking capital preservation as the basic and absolutely necessary requirement for succeeding in stock market, we try to look for such signs in RBL Bank IPO review. Here are some basic details related to the IPO. RBL Bank was established as a regional bank in 1943 but most of its top investors are pretty new. That’s because a new management took over the bank in 2010 and led a transformation which brought in new investors. And this is an interesting and impressive lot of shareholders which includes CDC Group, Asian Development Bank (ADB), International Finance Corporation (IFC) and Norwest Venture Partners (NVP). GPE and our own UTI are other three-letter investors in RBL Bank. India’s private equity fund Faering Capital also owns 11.9 million shares or 3.6% equity stake in the bank. Faering Capital is the investment vehicle of investment banker Sameer Shroff and HDFC chairman Deepak Parekh’s son Aditya Parekh. Among the major selling shareholders are Beacon India Private Equity Fund and GPE India. Beacon holds 9.5 million shares or 2.86% equity in the company and is looking to sell its entire holding through the IPO. GPE India will be offloading 3.5 million shares out of the 10.4 million it owns in RBL Bank. With nearly 2.71% equity stake, CEO Vishwavir Ahuja is also an important investor and it is good to see that he is not selling. Fun trivia – The average cost of acquisition by selling shareholders including Beacon and GPE is between INR66 per share and INR74 per share. Despite having established in 1943, Ratnakar Bank remained a regional bank with a focus on Maharashtra for long and it was not until 2010 that the new management led by Vishwavir Ahuja saw the potential in overhauling the operations. 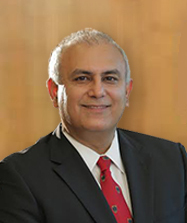 Ahuja is an old hand in banking and has earlier headed Bank of America’s India operations. In the last six years, he has put together a team of experienced bankers who all have rich experience in India’s leading banking institutions. As mentioned in our article about 10 points to know about RBL Bank IPO, the bank has adopted the mindset of a micro finance lender. It routinely offers the maximum rates on fixed deposits (a simple query on BankBazaar.com tells us that RBL offers an effective annual rate of 8.24%, higher than any other bank) and streams the money in underbanked sections of the market where it generates more returns. An example of its interest in this segment is the fact that it has forwarded a proposal to acquire 10% in Utkarsh Micro Finance which has received RBI’s in-principle approval to turn itself into a small finance bank (SFB). While this proposal is currently under RBI’s consideration, RBL Bank has already bought over 20% equity in business correspondent Swadhaar FinServe which offers products and services to inadequately served sections of businesses, households and enterprises. In the last six years, several fundamentally significant events have taken place at RBL Bank and have completely transformed it. Two such events were roping in of new investors mentioned above and acquisition of Royal Bank of Scotland’s (RBS’) retail operations in 2014. In short, the new management is not content with moderate growth and keeps looking for better opportunities. This is very well captured in its financial performance. RBL Bank has been outperforming most of its peers in terms of deposit growth and overall revenues. As illustrated in the table below, its revenues have grown from INR532.2 crore in FY2012 to INR3,234.8 crore in FY2016 which translates into average compounded growth rate of 57%. This is made possible by the growth in Branch and business banking (BBB), Agribusiness banking (AB), and Development banking and financial inclusion (DB&FI) whose contribution in loan book increased to 40% in FY2016, up from 25% in FY2013. During the last four years, its net earnings also surged from INR65.1 crore to INR292.4 crore, reflecting a CAGR of 45.5%. Profitability has been volatile but seems to have stabilized now at around 9%. These are impressive stats but what about non-performing assets (NPAs) which the banking industry is struggling with? This is a department where RBL shines with its strong loan book and better asset quality. For the financial year ended March 2016, RBL Bank’s gross and net NPAs stood at 0.98% and 0.59%, respectively. Restructured loans, which RBI requires to be treated at par with NPAs, were also capped at just 0.09% in FY2016. This is nothing short of an achievement considering the rapid growth in RBL Bank’s loan book in recent years. Ok, all good but should you subscribe? RBL Bank comes across as a top of the line investment option. In terms of valuations too, the bank is fairly priced considering the growth potential it offers. For FY2016, RBL Bank’s diluted earnings per share (EPS) were INR9.43. At INR225 per share – the upper end of the price band – RBL Bank IPO is priced at a price to earnings (P/E) ratio of 23.9 while the price to book value (P/B) ratio is at 2.44. Return on net worth (RONW) stood at 9.79% for FY2016. These valuations are in line with the players in wider market such as Indusind Bank and City Union Bank. RBL Bank’s P/E ratio appears to be on a higher side compared to its peers but banks are valued more on the basis of asset quality and RBL definitely has an edge here. Even though RBL Bank is not a screaming buy, we see several positives with this IPO which is first private sector bank IPO in over 10 years. First off, management quality is impeccable which means it is professionally managed. Vishwavir Ahuja gets a perfect 10 in RBL Bank IPO review in this department. Second, this strong and seasoned management has attracted quality investors which are willing to stay put in the company. With comfortable capital adequacy ratio (CAR) of 12.9%, RBL Bank is well-placed to grow from its small base. A focused approach of serving the underbanked and unbanked sections of the society is working great for the bank’s balance sheet. In this regard, it is almost unfair to rate it alongside banks as it has a relatively higher exposure towards micro finance market and we all know how well the recent IPOs of pure play microlenders Equitas Holdings and Ujjivan Financial. Finally, institutional investors see a lot of value in such plays so their buying is likely to act as a cushion for the stock. The impact of these factors is already seen in the informal grey market where trading is taking place regularly. To get the latest views and opinions of investors, check out the discussion page on the IPO. We hope our analysis is helpful to you. If you enjoyed reading RBL Bank IPO review, please share us on social media. Cochin Shipyard IPO Review: Safe harbor? Thanking you for your article. Thanking you for your valuable article. It is my first visit to your blog. Very nicely written. Very expensive. Instead better o invest in IDFC bank.